More sad news has struck the professional Dota scene with the announcement that Jiang 'YYF' Cen has played his last professional games. Most of his career was spent with LGD and Invictus Gaming, the latter of which won The International 2. An announcement in the wake of Invictus Gaming's 7th/8th place finish at The International 4, YYF has decided to retire from professional Dota 2. His estimated total earnings of $436,675* came in bulk from being part of the iG team that won The International 2 but was also boosted by recent big wins in the second WPC-ACE and ESL One. At 27, He retires as one of the more seasoned veterans and has participated in three Internationals. An extremely talented player, he was dominant whether it be in the carry role or as an offlaner. YYF was part of the iG team that won TI2. From LGD in 2010 to iG now, 4 years of professional gaming career has led me through all aspects of life. There is sadness after losing, happiness after winning TI2. These 4 years are not perfect enough, but neither do I have any regrets. Thanks to the company of my teammates, and the support from my fans. Retirement is the end, but it's also a new beginning. I will still pursue my next objective in the gaming scene, hope to receive support from everyone. YYF remained relatively stable throughout his career, only playing for two teams across the last few years. He rose to prominence with LGD Gaming in 2010, becoming known as one of the world's best, with certain balance changes said to be a direct result of some of his clever play during the WC3 days. This soon led to him being picked up by Invictus Gaming.Y, with the squad eventually merging with the iG.Z squad: YYF, ChuaN, Faith, Ferrari_430 and Zhou. 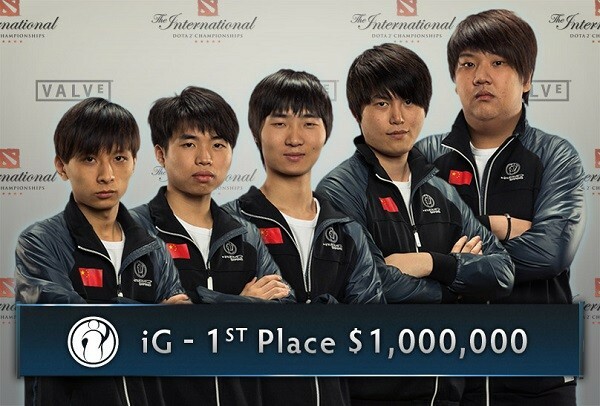 The squad would go on to be the first Chinese team to win a TI. Even at TI4, the majority of the roster remained, with only Zhou missing after his own retirement. YYF's career largely played out at just two teams - iG and LGD. YYF did allude to 'his next objective', which could be anything from coaching to joining former teammate Zhou in the casting booth. It will be a big blow to Invictus Gaming and will raise plenty of questions about the future of the team heading into China's post-TI shuffle, in which LaNm has already retired. Whatever happens next, the Chinese scene is sure to be saddened by the loss of another great player, but looks forward to seeing which veteran or rising star will be stepping in to fill his empty shoes. This article was written by Jamie Donovan, a joinDOTA writer.SohNata is probably too into Dota for his own good, but likes to find interesting stories in the game and voice his opinions to anyone who'll listen. Owns way too many hats.Location: Warwickshire, UKFollow him on @SohNata.